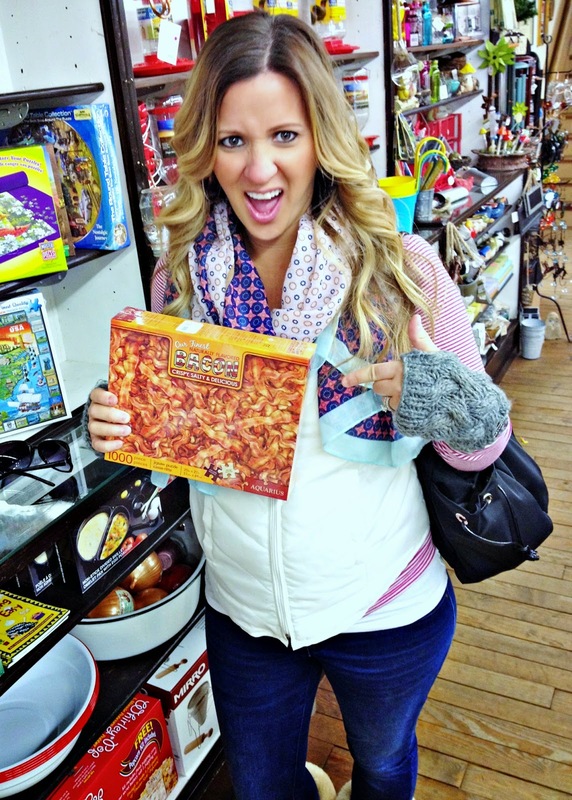 And then I found this crazy puzzle in Mast General Store. Why so crazy, you ask? Because it's bacon? Um no! More like it'd be impossible to complete!!! Oh my gosh, Bry and I love a good puzzle, but this one gave me anxiety just looking at it! I mean, we'd probably get 4 pieces connected in 1 week and then scatter the puzzle pieces off the table and onto the floor out of pure frustration, haha!! I am glad you two were able to get away & spend some alone time together. Time without the little ones is always needed in a marriage from time to time. I am sure little man missed you both very much however while gone! Happy Birthday to the hubs! I came for a charity event and was amazed how fantastic this function room was. The view at Banquet Halls is amazing and the layout does have a nice flow - which was great! Ahhh jealous of your time away!! Sounds wonderful!! We just moved to NC and have no family so it's been five months since we've had a real date :( I'm hoping my parents will move here (ie begging them daily) but most likely they won't so we'll just have to find a trusted sitter and have at-home dates more often! cute pics, happy birthday Bryan! we're currently trying to finish a puzzle & it's about to drive me nuts! So I couldn't imagine try to attempt to do that one, ha!